Iran's Supreme Leader has advised the media to refrain from stoking the fires of the banking fraud scandal that has made headlines in recent weeks. On his official website, Ayatollah Khamenei wrote on Monday: "The media must not persist in creating controversy and uproar regarding this matter. Instead, they should allow officials to pursue and investigate the matter with utmost wisdom, strength and precision." 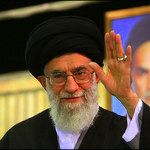 Speaking in a meeting on Monday, Ayatollah Khamenei referred to his previous recommendations to identify and root out corruption, saying: "While officials welcomed my earlier recommendation to stop economic corruption, if they had truly acted on those recommendations, we would never have faced a matter like the recent bank fraud." 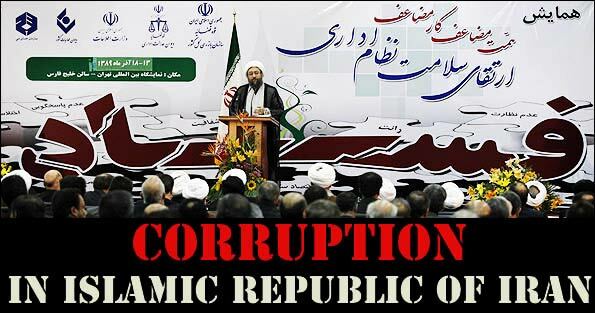 In 2001, Ayatollah Khamenei issued an eight-article order to officials in the three branches of the government (judicial, executive and legislative) to uproot financial corruption. The order called on the Ministry of Intelligence to concentrate on "vulnerable points in government economic activities" such as "foreign transactions and agreements, large investments, national development plans and important economic and financial decision-making centres in the country and report to the president." Ayatollah Khamenei maintained that his recommendations were not carried out, adding: "Some people are trying to take advantage of the recent events in order to question officials, while [the three branches of government] are trying to carry out their duties." He assured the people that the government is intent on dealing with the culprits in the fraud and urged the media to refrain from fomenting controversy. He said: "Continued controversy and uproar are not advisable, especially when some people are trying to take advantage of this situation, and everyone must be on guard." The sensational fraud case centres around the $3 billion fraudulently acquired by an investment company through the sale of false letters of credit. Eight Iranian banks have been implicated in the recently uncovered embezzlement scenario, with the the Bank of Saderat and the Iran Melli Bank playing the biggest roles. The judiciary has arrested several bank mangers and officials as well as the owner of the accused investment company.